How Much Are Custom USB Drives? There are many benefits to getting custom USB flash drives, as they can give customers and prospects a memorable piece of marketing material while also providing them with a usable personal storage device. Every time people use your flash drives, people can see your brand, making it more visible than other types of promotional products. However, you may be concerned about the overall cost of custom USB drives. Pricing will vary depending on the various aspects of the flash drive you design, but we work to keep each bulk purchase of custom USBs consistently affordable for each customer. We offer many different design elements to give you what you want with your flash drives, including everything from shape to available storage space. The first step to figuring out the final cost is to determine what you want in your Every USB flash drive. With our custom flash drive products, you can customize nearly every aspect of your product to accurately and innovatively represent your brand. 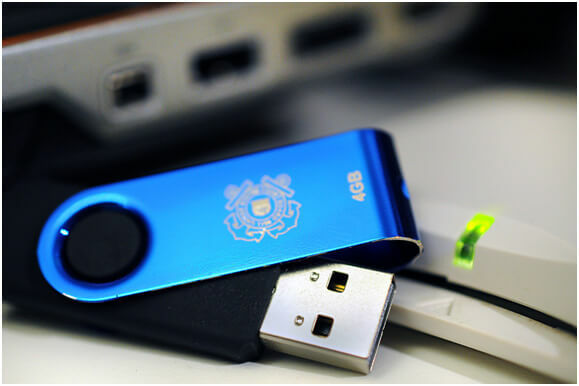 Customers can choose both the physical and virtual options that come with each USB, providing them with a unique product that can effectively promote their company. When designing a custom flash drive for your business, here are the attributes you can customize. Customers can choose from many stock designs that we provide, with a wide range of shapes available that can match your brand, but we can also fully customize the shape of your flash drive based on your specifications. We even offer Adobe Illustrator templates to make it easy for customers to provide us with their unique designs and logo layout. While certain designs only include one or two color options, most of our designs come in a wide range of colors, with customizability through our Pantone Matching System. You can also combine colors and your logo to match your brand’s theme, with the ability to make your logo stand out on any device. We also offer several imprint methods for your designs, including silk screen, full color direct print, laser engraving, and UV printing. Choose from many levels of memory capacity for each flash drive, ranging from 32MB to 64GB. Whether you want a 32MB flash drive or a spacious 64GB USB flash drive at the best price, you’ll be able to find what you’re looking for when you shop here at Every USB. Our wide selection of flash drive sizes can give you all of the space you need for any preloaded data or simply sufficient free space for users. 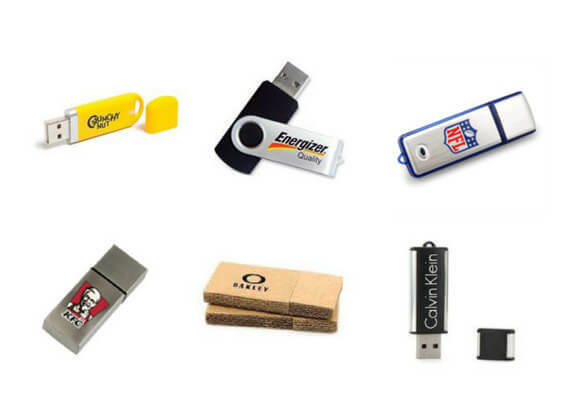 Want to provide prospects and customers with preloaded data on flash drives for digital promotion? We can load many types of data to flash drives, including inerasable and write-protected data, maximizing the longevity of your message and content. We can even load USB drives with eBooks. Depending on the amount of storage space available, customers can also add any of their own personal data to the remaining free space. You can also select a custom drive navigation menu that complements your brand. 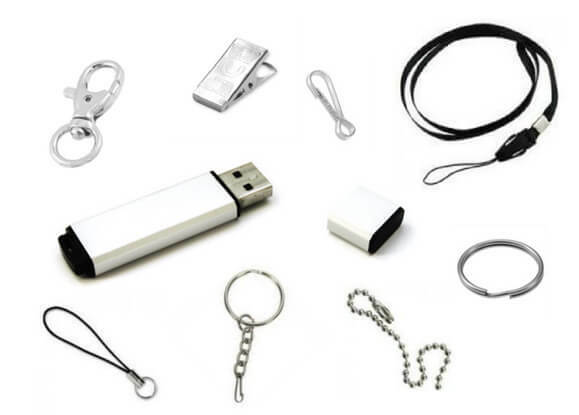 We offer a selection of hooks, claps, and keyrings that you can attach to your flash drive products. To further showcase your flash drives, choose a custom package design that contains your unique product. Whether you want a more conventional packaging option or a colorful and unique solution, we have plenty of options to complement your flash drives. Regardless of the design elements of your custom USB drive, we want to make sure that each customer gets the best products at the best price. Whether you want a custom 16GB pen drive at the lowest price or another type of flash drive design at the best available price, we have the options available for you to fully customize your products while helping you stay within your available budget. Regardless of the size and specifications of your order, we’ll also make sure each flash drive comes with the same level of quality for consistent results with every purchase. You won’t need to worry about over-spending on any flash drive products and accessories that we offer. You can request a quote from us to learn exactly how much your flash drive orders will cost, and we’ll help get you started on a complete custom design today. Contact us at any time to discuss your needs and get a custom order from Every USB today.